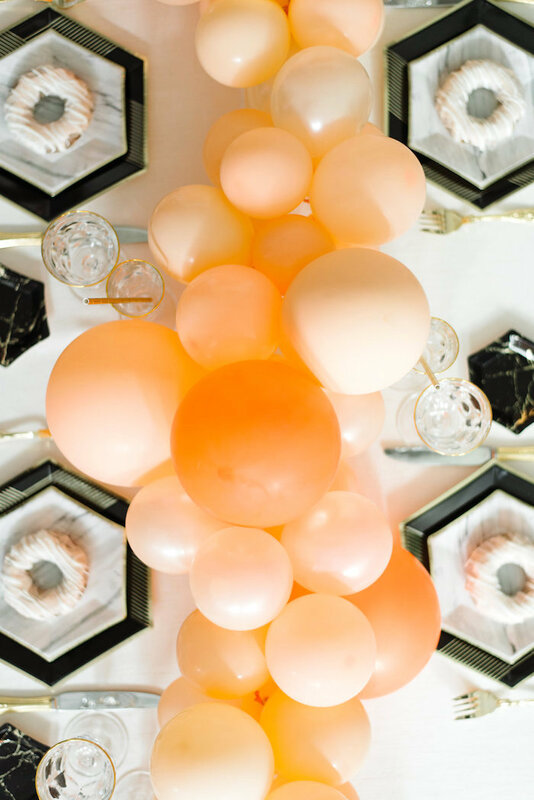 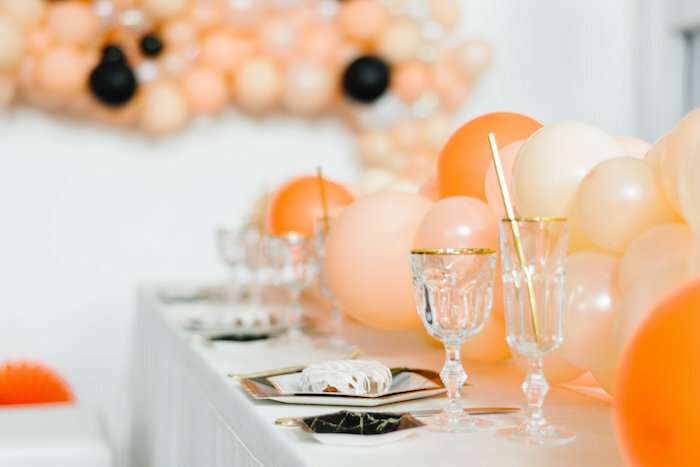 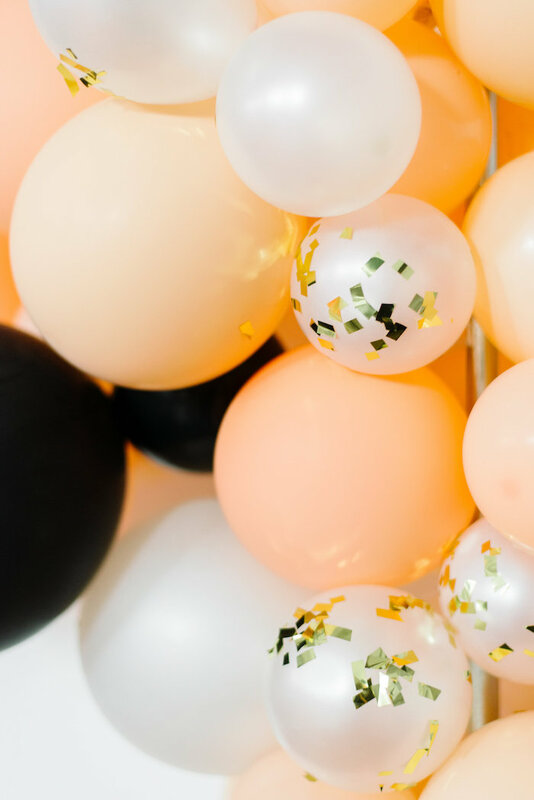 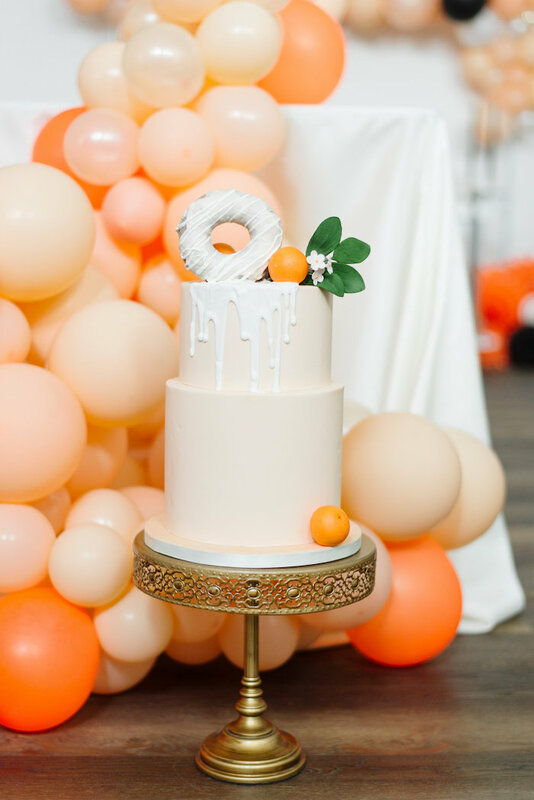 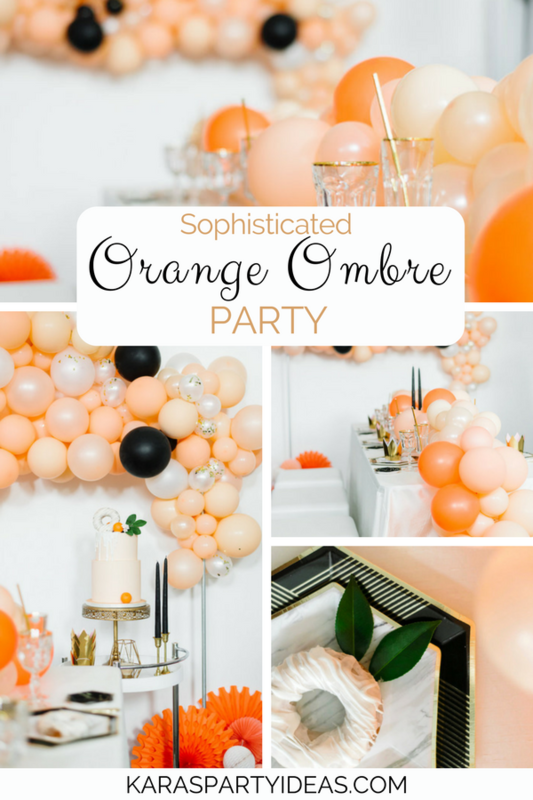 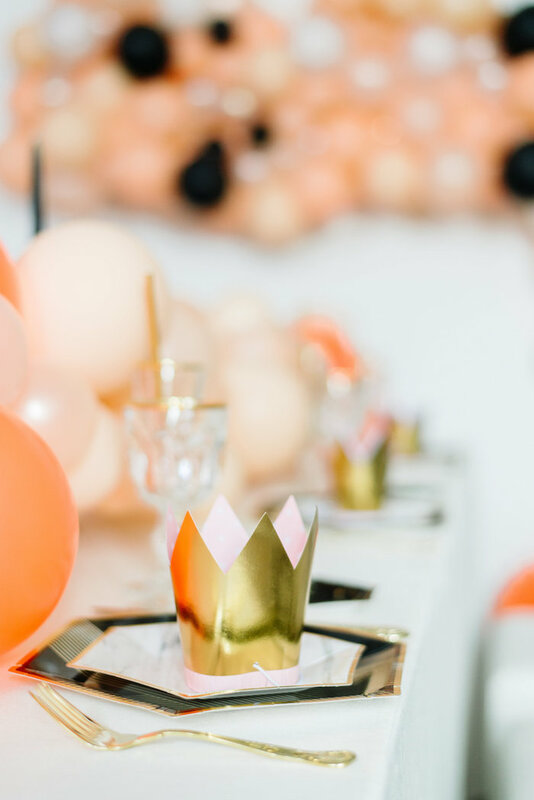 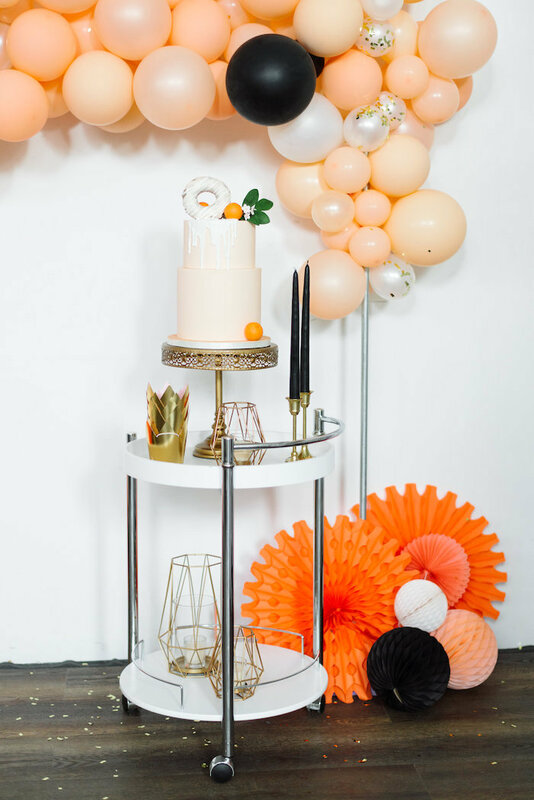 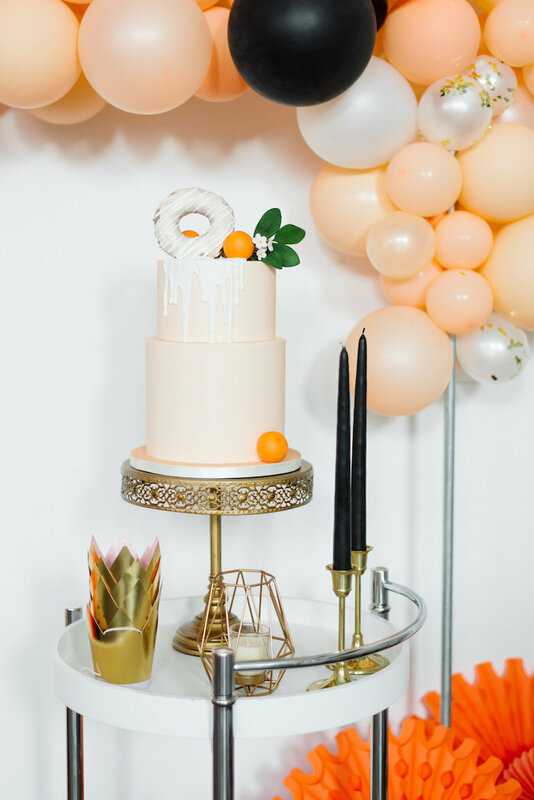 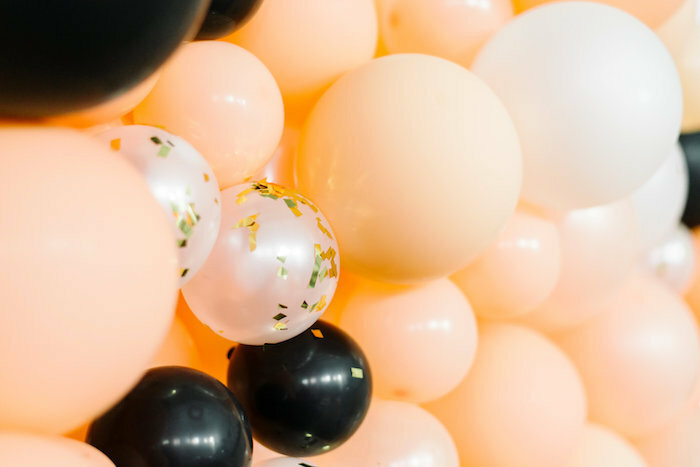 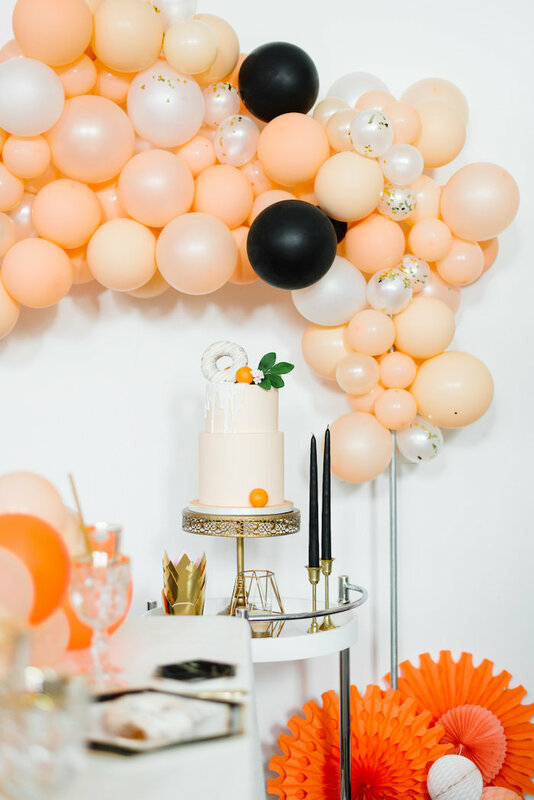 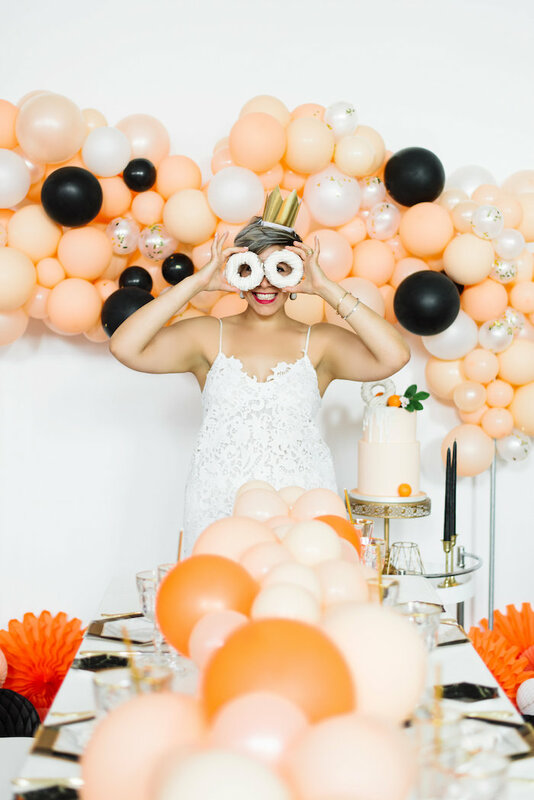 Bouncy balloons, crystal glasses and more, this Sophisticated Orange Ombre Birthday Party will have you swooning for more! 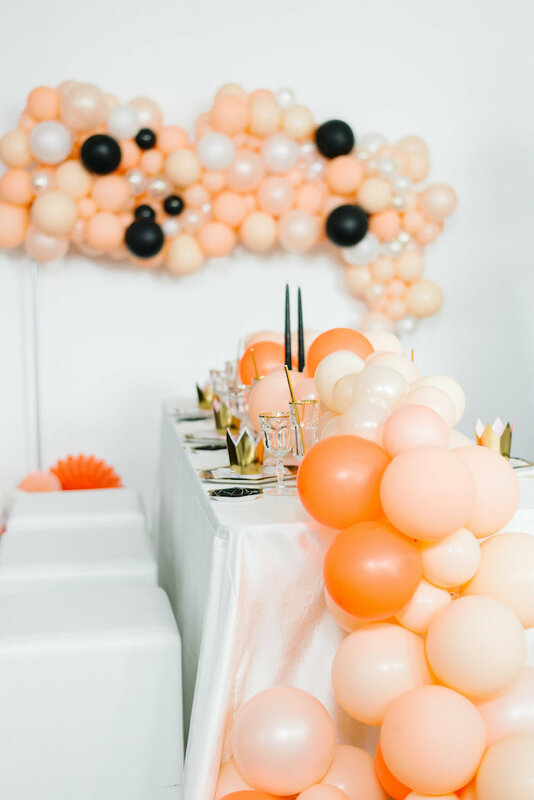 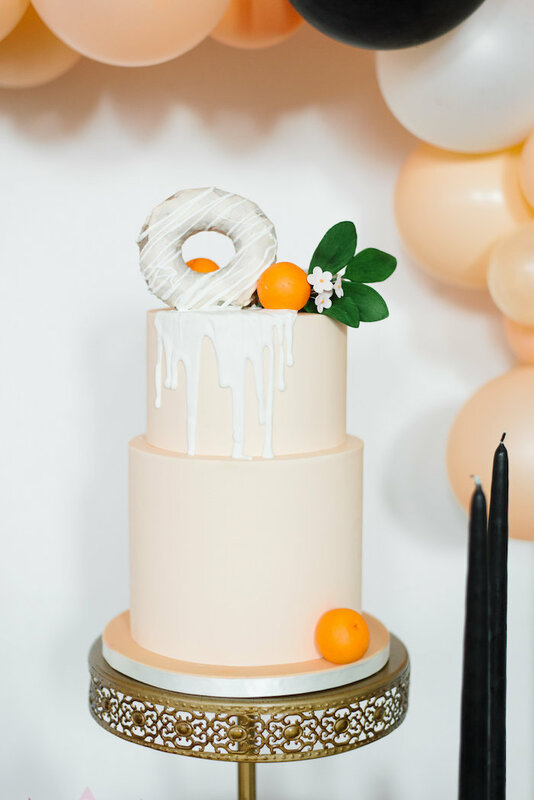 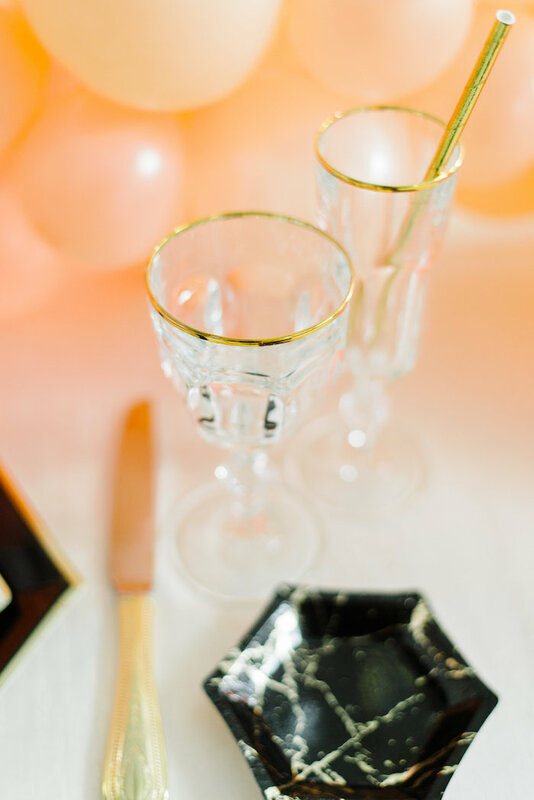 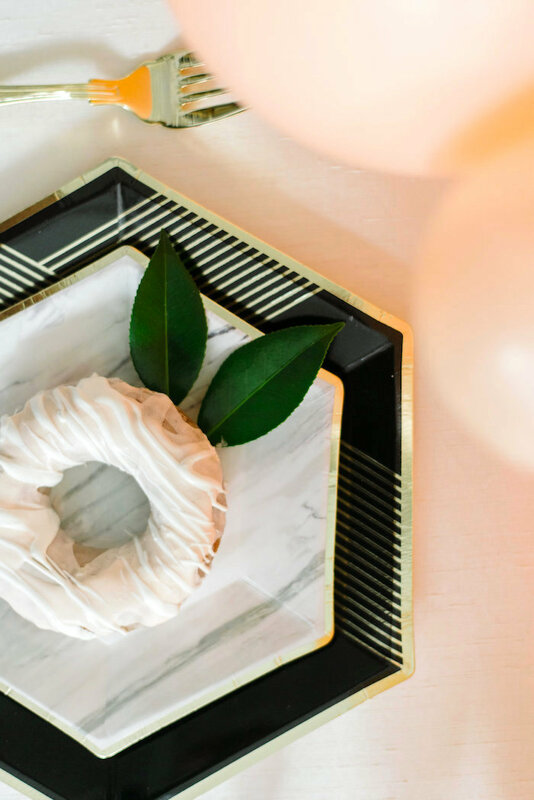 Supplied with details so fancy and fun, this little, ombre bash by Jaleh Fotoohi of JEvents Planning & Design, out of Vancouver, Canada, is a darling one! 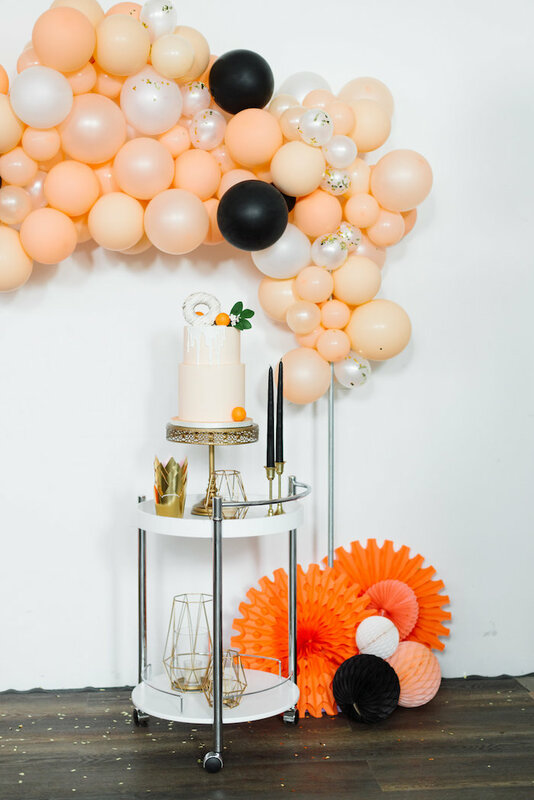 “With Balloons and balloon garlands becoming a trend, I really wanted to create something a little different and bring more perspective to using the same element in different ways. 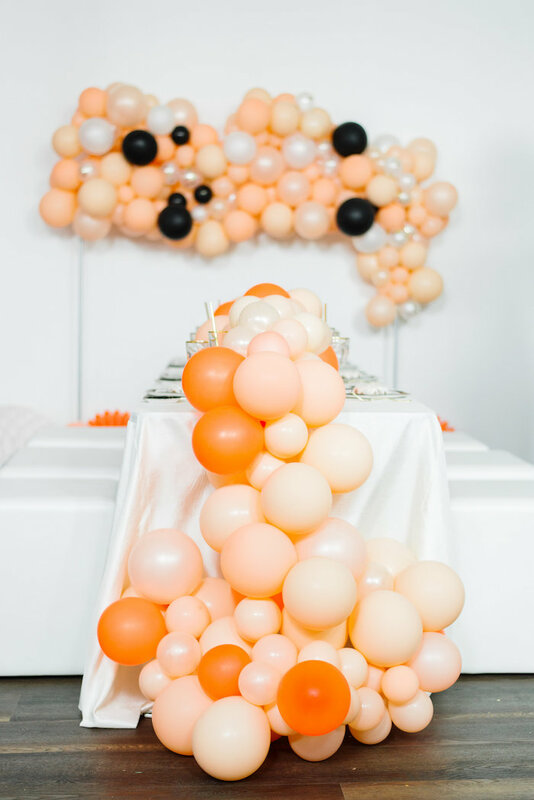 For example, I wanted to create an arch with balloons but to still stay away from the traditional ones. 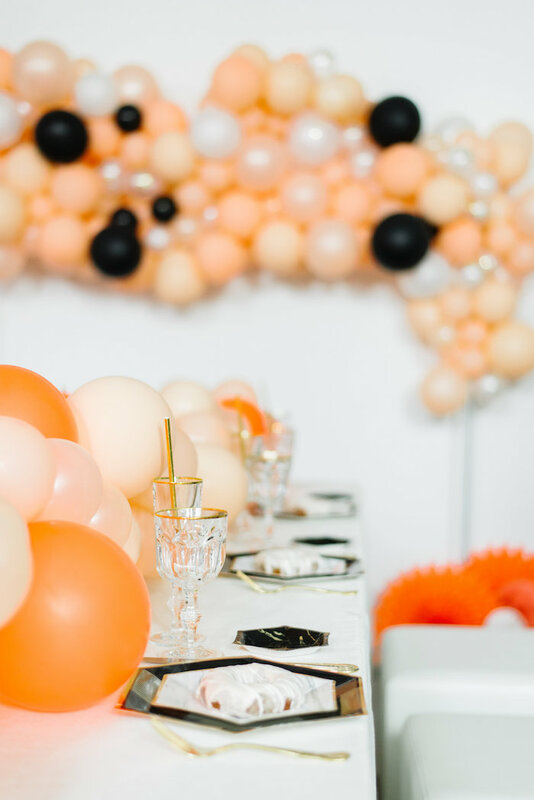 I also used the balloon garland as a table center with NO flowers to keep it simple yet fun and budget-friendly and that’s a perfect way to use balloons for kid’s parties. 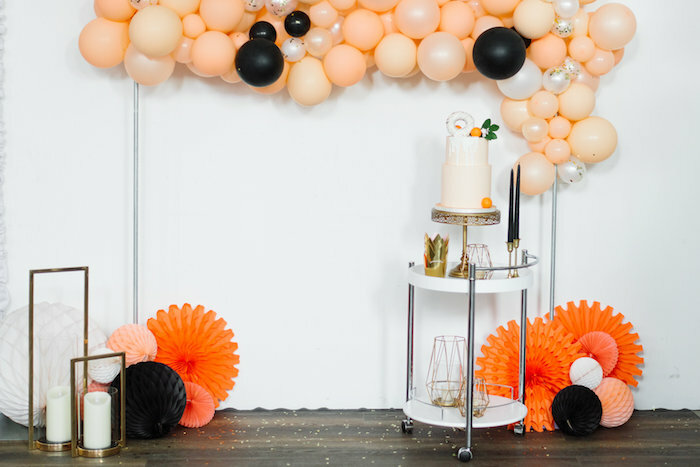 Don’t miss these parties that sport the lovely Meri Meri party lines!